Lock in a great price for Hotel Donau-Ries – rated 8.2 by recent guests! Nice big room. Warm, even cold weather outside. Simple but clean. Clean, and recent infrastructure. Very good price/performance relation. Close to the regional highway. 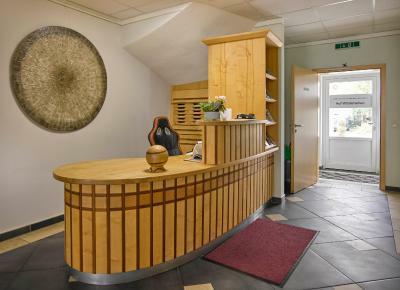 Calm, located in a business-area. Wonderful place! Very very clean and the room was very spacious. The breakfast was excellent. Overall, a great place for people to stay! Frühstück s e h r gut, reichhaltig. ALLES sehr gut, freundliche Bedienung bei der Ankunft + Abreise! Für den Zweck dieser Reise reichte das Hotel vollkommen aus. Auch das Zimmer sah schnieke aus. Nett war auch, dass wir am letzten Tag früh noch, obwohl wir die letzten waren, noch frühstücken dürften. 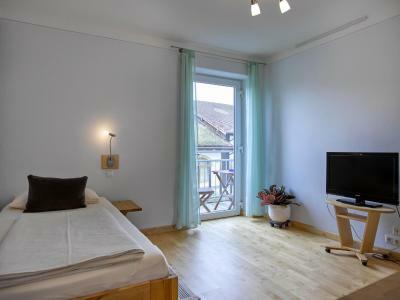 Tolles Zimmer, sehr sauber, herrliche Matratze !!! 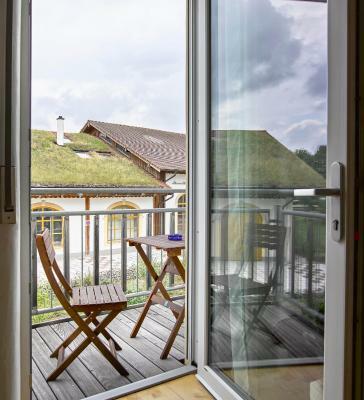 Hotel Donau-Ries This rating is a reflection of how the property compares to the industry standard when it comes to price, facilities and services available. It's based on a self-evaluation by the property. Use this rating to help choose your stay! 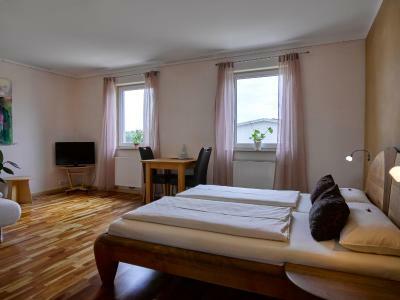 This hotel is conveniently located near the B2 road, and is a 3-minute walk from Mertingen Train Station. 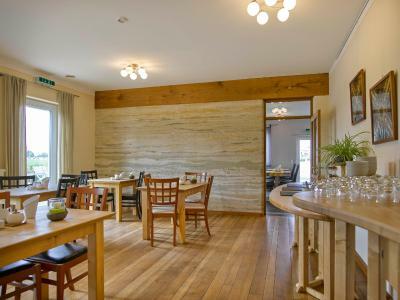 It features rooms designed with full wooden furniture and genuine parquet floors, and with free wired internet. The spacious rooms at Hotel Donau-Ries come with a TV, seating area and a private bathroom with stone tiles and a glass shower cubicle. Bedding and mattresses are of organic quality. Almost entirely organic food is served in the daily buffet breakfast and in the GUAVA restaurant. The center of Donauworth is a 10-minute drive from Donau-Ries, and Augsburg is 22 mi away. Free private parking is available. When would you like to stay at Hotel Donau-Ries? Bright, modern room with a seating area, a TV, and a private bathroom with stone tiles and a glass shower cubicle. All feature organic mattresses and bedding, and some include a kitchenette. House Rules Hotel Donau-Ries takes special requests – add in the next step! Hotel Donau-Ries accepts these cards and reserves the right to temporarily hold an amount prior to arrival. Location terrible in the middle of an industrial complex and right next to a VERY busy train track. We heard many trains all night long. Room very hot and uncomfortable. No air conditioning, only a small fan. Car park far from room. The smell in the room.